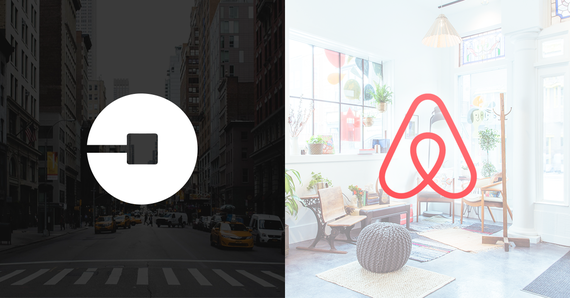 Uber and Airbnb are two companies that, I believe, should not have been started the way that they did. No, this isn't a rant about their venture capital funding or their CEOs' business decisions. This is a post about understanding and innovating in the market space so you don't go out of business. For example, in the last half-decade, we, as a society, have gone through an enormous cultural shift with the onset of the Internet, social media, and mobile devices. Everything from calculating your tip to ordering on-demand cars is now at scale--at our fingertips-- and the market has taken hold of that notion. When these technological shifts happen, too many business get left in the dust because they're too comfortable with their current successes. By this, I mean they're not reacting to the market and looking for ways to innovate in their current industry. They become complacent with what they already have. I wake up every morning and think about how I can put myself out of business. By that, I mean I think about every way another business can disrupt my profit margins and my current successes. By thinking about what they could do, I can do it myself and innovate my own business. Whether it's my agency VaynerMedia, Wine Library, or a business I'm just thinking about starting, being on the right side of the market is always going to be at the top of my mind. Why? Because as an entrepreneur, I'm in the business of being historically correct and putting myself out of business is better than letting someone else do it for me. Why were Garret Camp (the founder of StumbleUpon) and Travis Kalanick (founder of Red Swoosh), two people outside of the transportation business, able to create such a successful company that's putting taxi cabs out of business? 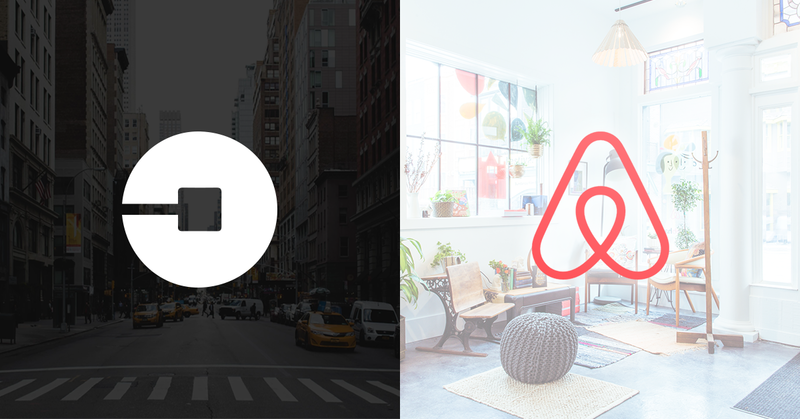 How did two broke roommates (Brian Chesky and Joe Gebbia) figure out they could rent out their San Francisco loft and start competing with Hilton? The answer was simple: they innovated where their traditional rivals didn't. They were innovators that saw the white space in the evolving internet marketplace. What really should have happened was that the owner of a taxi company should have seen the opportunities that Uber saw. Hilton should have started AirBnB way before a startup realized there was an opening in the market. And if you think about it, Uber and Airbnb aren't just two "unicorns" that took away opportunities from the industry veterans. The faster your realize how fluid and quick the market is, the faster you can put yourself in a position for upside. AAA did it when they started offering roadside assistance to drivers. On-demand, same-day courier services like UberRush and Amazon Prime Now took opportunities away from FedEx. Gmail took away game-changing, global communication from the U.S. Postal Service. It's always been happening. Whether you're looking to start a new business or you're in an industry you think will never go stale, you have to be a innovator in your market. Why? Because that's the only way to get ahead of the curve. I'm going to end this article with two ideas where I think there's plenty of room for innovation. I don't know what the exact execution for each one would be as these are "just for fun," but you can't deny the potential they present. Right now, I think fast food restaurants like Sonic and Burger King should start joint-venturing with a motor company, like Toyota, or Google to start the process of being the food provider for self-driving cars. Think about it: when someone takes a 45-minute commute to work, they're going to want to eat breakfast. They'd have their breakfast right there, ready to go. I think in the next ten to twenty years, self-driving cars are going to be more popular and this would be a great way to jump on the bandwagon early. Moving restaurants--literally eating on the go. It would be a lot nicer to see one of these fast food companies get that business instead of being put out of business by an upstart who realized the potential right now. You've probably already heard me rant about smart, wearable technology before, but it's still something I'm hot on. I think clothing lines, like Levi's, should start putting in the research and development to own the smart-pants market. These pants would help you keep track of weight loss or monitor your walking behavior. For example, let's say you sprained your ankle and your pants notice that you're walking funny. Your pants text you to let you know that the way you're walking is actually hurting your back and help you correct it before it turns into something more serious. In a world where everything is becoming smart, a company like Levi's, should be looking at innovations in the marketplace like this versus another upstart taking the market fifteen years from now. I'd really like for all of you to think about your business right now and imagine how you can put yourself out of business. It may lead to your biggest innovation.